Another GOP presidential contender weighs in on marijuana policy, the nation's harshest pot laws are about to get a little better, the AMA sticks up for medical marijuana, er, cannabis, doctors, and more. 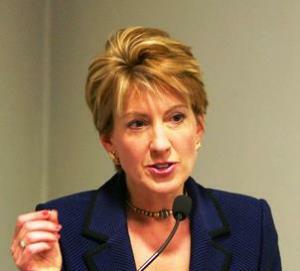 Carly Fiorina Says Marijuana Legalization a States' Right Issue. Republican presidential contender Carly Fiorina said Tuesday that while she personally opposed marijuana legalization, it should be up to the states. "I don't support legalized marijuana for a whole host of reasons, including the fact that this is a very complex chemical substance, and when we tell young people it is just like drinking a beer, we are not telling them the truth," she said. "But I think Colorado voters made a choice, I don't support their choice, but I do support their right to make that choice." Louisiana Marijuana Sentencing Reforms Pass; Governor Expected to Sign. The state legislature Monday gave final approval to House Bill 149, which will make the state's draconian possession penalties somewhat less so. Gov. Bobby Jindal has signaled that he will sign the bill. For first offenders, the maximum penalty shrinks from six months to 15 days in jail; for second offenders, the penalty shrinks from a five-year felony to a six-month misdemeanor; for third-strikers, the penalty shrinks from a 20-year felony to a two-year felony. The bill also allows people charged with first-time possession to have their records expunged if they don't get busted again for pot within two years. Oregon Legislators Have Tentative Pot Deal. Legislative negotiators have reached initial agreement on a way to move forward with implementing legalization. The deal foresees a possible 20% retail sales tax, with municipalities collecting up to 3%. The key question of whether municipalities can prohibit pot shops is being deferred to the courts or a work group charged with making recommendations for 2016. See this series of amendments for more details. AMA Calls for Protections for Medical Marijuana Doctors. Meeting at its annual convention in Chicago, the American Medical Association has passed a resolution called "Immunity from Federal Prosecution for Cannabis Prescribing." The resolution is "consistent with AMA policy to protect patient-physician communications about treatment options, supporting a public health approach rather than a law-enforcement focus, for individuals possessing cannabis for personal use and opposing government interference with the practice of medicine," the nation's largest doctors' group said. Nevada Governor Signs Hemp Research Bill. Gov. Bryan Sandoval last Friday signed into law Senate Bill 305, which will allow colleges, universities, and the state Agriculture Department to grow hemp for research purposes in a pilot program. But it doesn't allow commercial hemp production. California School District Pays Out for Using Student as Drug Sting Bait. The Temecula Valley Unified School District will pay $200,000 to a family whose 14-year-old learning disabled son was recruited by an assistant principal to serve as bait in a drug sting. The sting took place even after the boy's mother objected. The boy's mother said the school's actions endangered her son, leading to him being labeled a snitch and to threats of physical violence against him. The sting was an effort to catch another student with marijuana. It's about time the gop starts 'getting real' about our medical marijuana,and overall marijuana laws.Our country has finally had enough of all the draconian laws and penalties.Leave it up the the sates VOTERS to decide what should be done.AND,it's about damn time the AMA has recognized the benefits of MM.Am I a "pothead"? No,I am a grateful medical marijuana user.As a totally disabled veteran,the mental and physical benefits are very good as opposed to all the chemicals that people like me have prescribed to us.I still have to take my meds everyday,but near as many as before.It's just plain old common sense,it's been used since man found it thousands of years ago,and it just works.